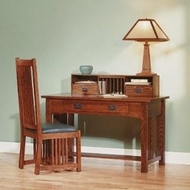 Welcome to our Furniture Page. 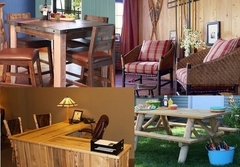 The lodge furniture images below are representative of the collection designs. 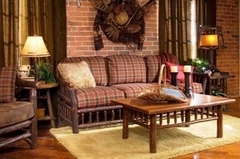 Click the image to see more of that specific lodge furniture collection. Each rustic furniture manufacturer makes the highest quality furniture and has an array of other pieces in addition to those pictured below. 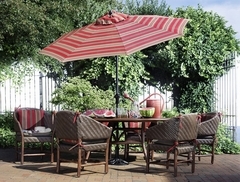 Please click the furniture image below for the complete furniture product line of the collection. We have offerings from many USA based manufacturers and also have hand picked several quality imported lines of rustic and lodge furniture. 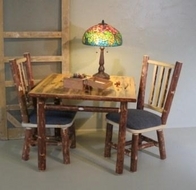 We manufacture our own lines of rustic furniture, here in Montana, and represent many other lines that we have confidence will suit your rustic furnishing needs. Because we have been building our own furniture since 1988, we know what it takes to fulfill your order properly, and with two showrooms in NW Montana, we live and work in the setting! 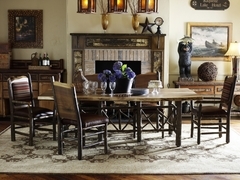 Our styles include hickory, aspen and log furniture, reclaimed barnwood furniture, mission furniture, copper furniture, upholstered furniture, outdoor furniture and more. We ship our furniture all over North America and regularly coordinate deliveries to commercial projects, managed properties and businesses as well. If you are in the NW Montana area, you can count on one of our local crew members meeting you for delivery and install. If you would rather shop by furnishing, please select your furniture piece from the "SHOP BY FURNISHINGS/ROOM" Navigation Link in the left margin. Happy Shopping!